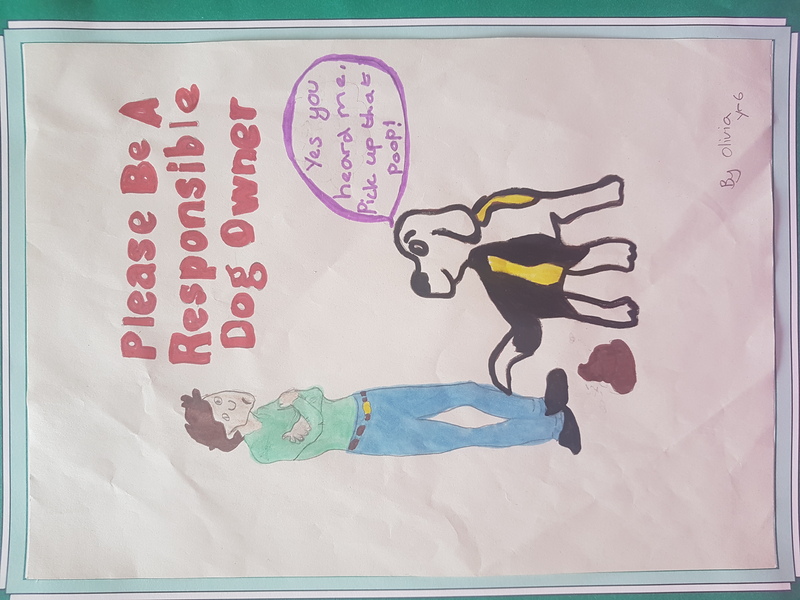 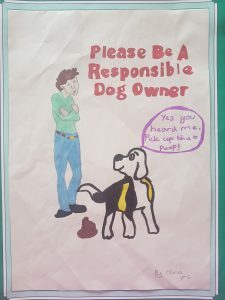 The Parish Council launched its anti-dog fouling campaign at the recent Community Morning with the Primary School poster competition that was judged by the public. 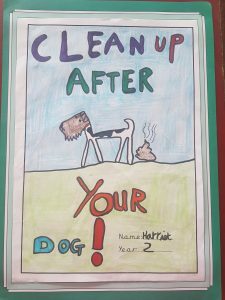 Three winners were chosen and their posters will soon be seen around the parish. 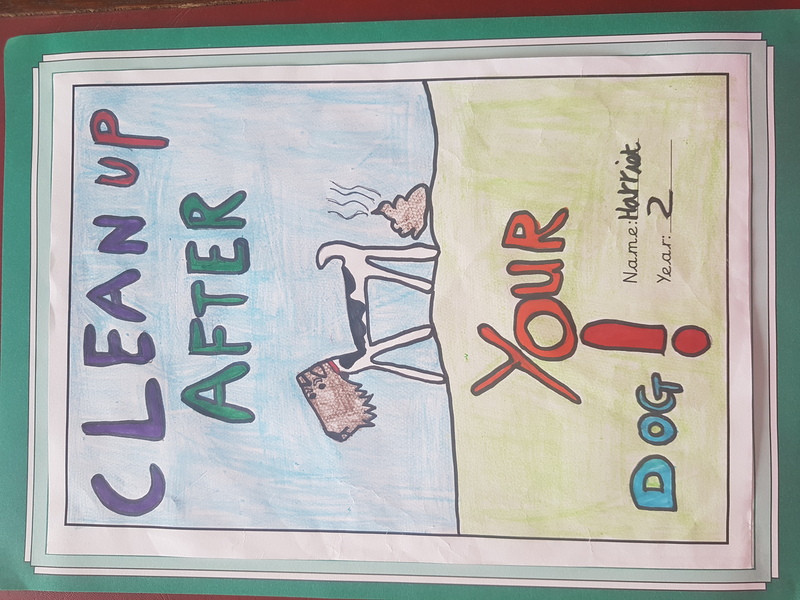 As part of the campaign, the Parish Council would like the public to tell us of any known ‘hot spots’ so that the problem can be tackled. 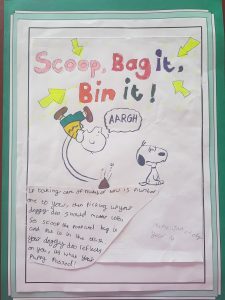 Comfy Critters and Woottons have agreed to issue free dog poo bags as part of the launch. 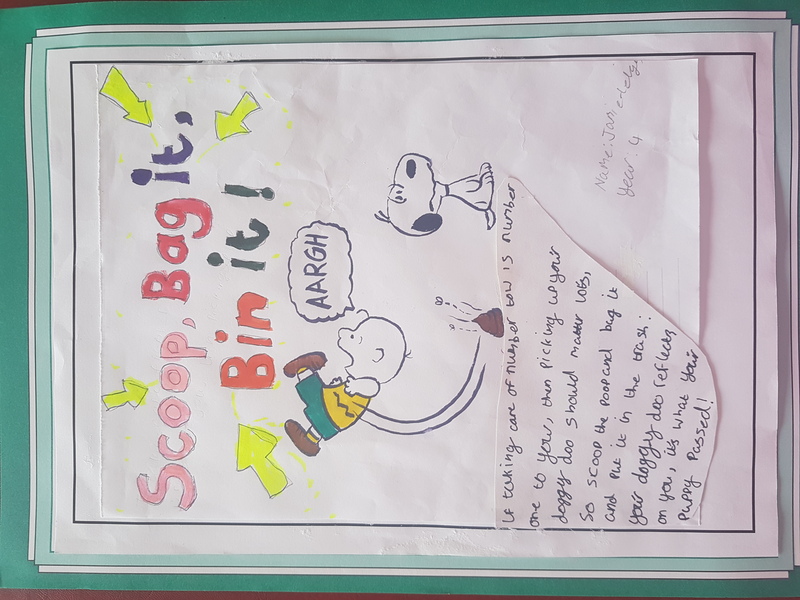 Please continue to bag it and bin it so Pewsey can remain a clean place to live for all.